Raaga.com: Why famous RJ Ameen Sayani apologized to Amitabh Bachchan? 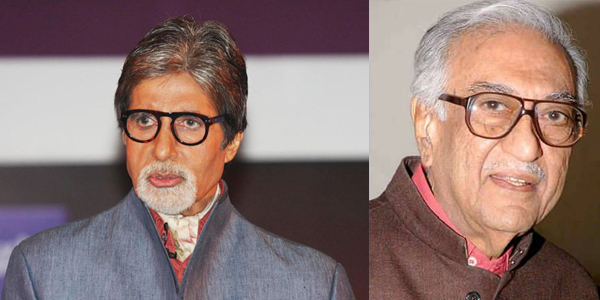 Why famous RJ Ameen Sayani apologized to Amitabh Bachchan? Amitabh Bachchan may be the most cherished actor of the millennium but more than his acting prowess his golden baritone is his biggest asset that adds new dimension to his personality. In fact it was his baritone that gave him an entry into Indian Cinema when Bachchan made his film debut in 1969 as a ‘Voice Narrator’ in Mrinal Sen's National Award winning Hindi film BHUVAN SHOME. However what is interesting is that Amitabh Bachchan was rejected at All India Radio (AIR) as announcer and the person who rejected his voice was none other but the eminent Radio announcer Ameen Sayani, because whenever Bachchan came at the studio to seek job, he was so busy that he could never hear his audition. Many years later when Bachchan became a star, Sayani invited Bachchan at the annual ceremony of a RJ Training Institute event to grace as chief guest. At the event Ameen Sayani spoke high about Bachchan’s baritone. However when Bachchan stood to speak Sayani was in utter embarrassment because it was hear that he came to know that the person whom he rejected was Bachchan after Bachchan shared his tragic tale how he was discarded at AIR!